Newton, Iowa. 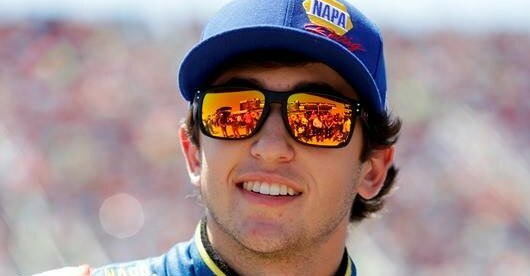 (May 14, 2014) – It’s not every day that a professional race car driver has to take time out of his weekend schedule to attend his high school graduation. 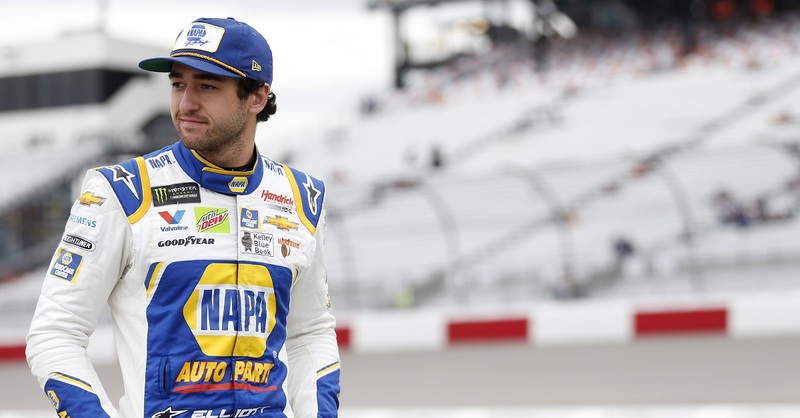 But Chase Elliott is no ordinary, every-day driver. 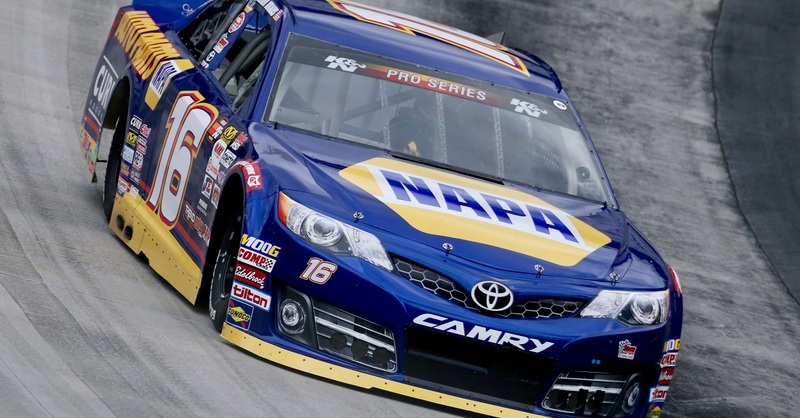 He’s a two-time winner in the NASCAR Nationwide Series and currently the series points leader. He’ll participate in all three practice sessions on Friday at Iowa Speedway before embarking on a 2-hour flight (882 miles) to Georgia. He’ll graduate Saturday morning and immediately after the ceremony concludes, he’ll catch a flight back to Iowa Speedway in time to qualify his No. 9 NAPA AUTO PARTS Chevrolet Saturday evening. The race is on Sunday at 2 p.m. ET on ESPN and MRN/SIRIUSXM. If all goes according to plan, all he will miss at Iowa is Saturday morning’s final practice. The .875-mile Iowa Speedway is a track Elliott is familiar with. In three K&N Pro Series East races, the Dawsonville, Ga., native has one victory and two top-five finishes. Also, Iowa was site of Elliott’s fourth-ever start in the NASCAR Camping World Truck Series, in which he finished fifth in 2013. More recently, Elliott took part in a test session in his No. 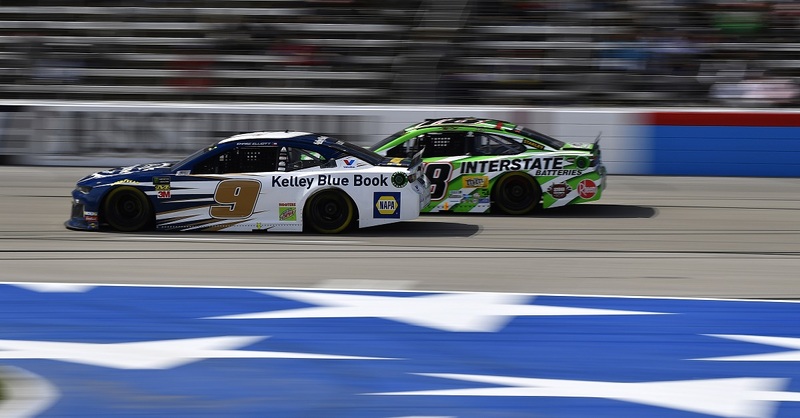 9 NAPA Chevrolet. With the trip to Georgia looming, Elliott will certainly rely on constant communication with his crew chief, Greg Ives, during his absence. Ives’ plan for the No. 9 Chevrolet is to sit out Saturday morning’s practice and not rely on a fill-in driver. Elliott enters the weekend not only as the championship points leader, but he also holds a 32-point lead in the Sunoco Rookie of the Year standings. “I think it’s good to have change and not just go exactly where the Cup schedule goes. I think it’s good for the Nationwide Series to go to different places like Iowa. It’s going to be fun. I’m excited to get out there. I’ve raced there a few times. 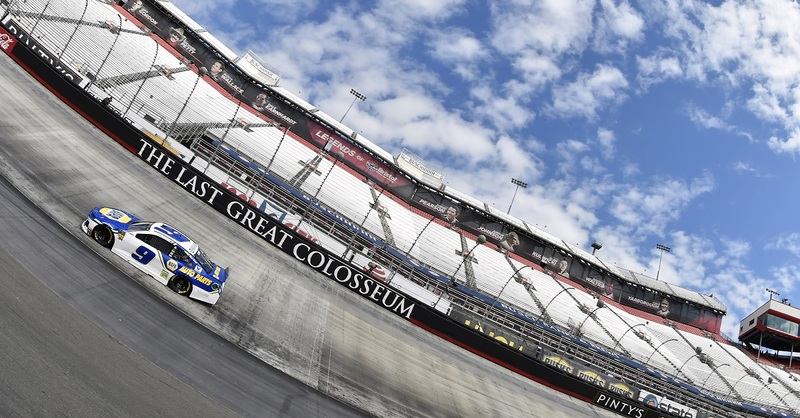 We’ve had some good runs, some bad runs, some runs in between, so hopefully our NAPA team can try and put a good one together and just try to keep growing.